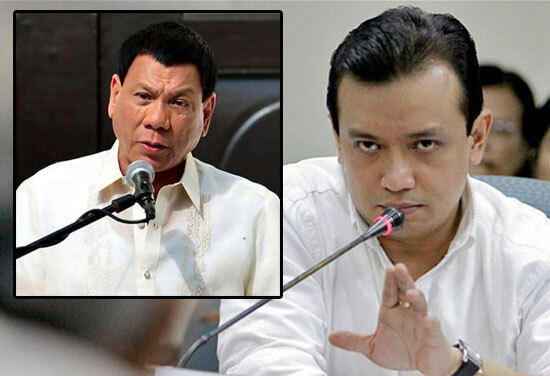 Senator Antonio Trillanes IV is not yet done with his words against the PDP-Laban presidential bet Rodrigo Duterte. He already said that if Davao City Mayor elected as the next president, it could be a 'disaster' to the country and now he compared Duterte to the current vice president of the Philippines. According to the report, Sen. Trillanes cited the statements of Duterte about the summary executions of suspected criminals, that's why the senator reacted like that. Now, Sen. Trillanes warned everyone that Duterte as President would be worse than Vice President Jejomar Binay. Because there's a report saying that foreign investors are wary of Vice President Jejomar Binay winning the presidency in May 2016. He said, "I can’t imagine myself saying this, but it’s going to be so much worse," he added, "Duterte’s win would be a “disaster for the country." He said, "His method may have worked in Davao, but it’s definitely not going to work in the national scale. You don’t run the country like that. There should be a vision, a program of action that you would actually have to enumerate." Trillanes had elaborate more his thoughts against Duterte, he said, "Once you start the killing, you won’t be able to stop it and everybody else would have that license to kill and hide under the cover of this guy being killed is an addict, regardless of whether he’s actually just a business rival or a personal rival. You won’t be able to stop that." Do you agree with Sen. Trillanes IV? Share your thoughts below. Comments or suggestions about "Sen. Trillanes: Duterte worse than Jejomar Binay" is important to us, you may share it by using the comment box below.